? Raumpatrouille Orion | Main | The Two Christians ? Talking points and, God help us, facts for the first warmenist to spout off at you about the Wilkins Ice Shelf. From the linked comments, not the linked article, mind you. It would be too much to expect the press to know what they are talking about. The Wilkins ice shelf has for a long time been a favourite of the climate alarmist. Why? Because this tiny bit of ice on the volcanically active Antarctic peninsula is part of the mere 2% of the continent that has actually warmed. This is almost certainly due to oceanic currents and the aforementioned volcanism since it is physically impossible to melt sea ice through atmospheric warming if the temperature remains below zero which it has. The fact that the Antarctic has seen record high levels of sea ice in the past two years (which, funnily enough, was never reported by the mainstream media) and yet we only hear about this speaks volumes about how desperate the warming fantasists are to save their dead theory. Here are some visual supplements. 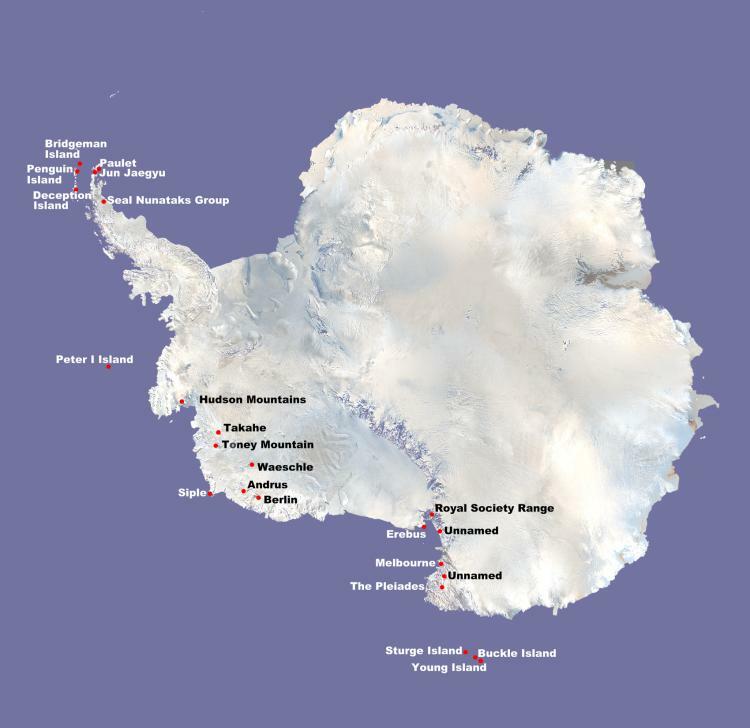 2) Location of Antarctic volcanoes. 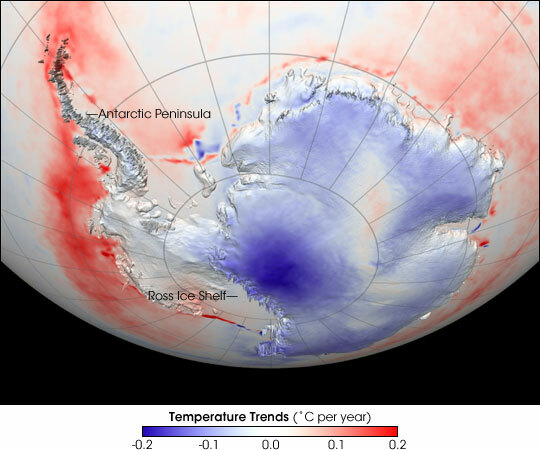 3) Antarctic temperature trends. Note peninsula has greatest warming trend, although it does appear everything but the inner continent has seen temperature increases. "The [National Science] foundation said the research vessel Lawrence M. Gould was returning from a study of a collapsed ice shelf when it passed over the volcano." The shelf name isn't listed in the story, but the Lawrence M. Gould has voyaged to the Larsen A and B shelves several times in the past few years. Coincidentally, the Larsen Ice Shelf is located very near to no less than 16 active volcanic vents. Oops. I messed up the link to the Antarctic volcanoes map.